Welcome to the International Badgers Club website, dedicated to the swapping of Scout and Guide badges. From early days, members of the Scout and Guide Movements have met at camps and Jamborees to foster the spirit of International Scouting and Guiding. Many have swopped badges at these gatherings as permanent memories of the many friends they have made during their time together. 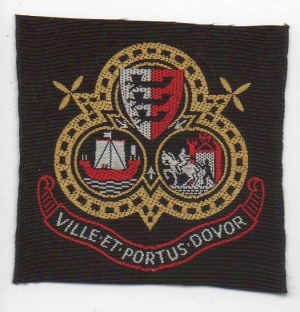 Most members of the Movements, will have seen at sometime, the very colourful Camp Fire Blankets worn by a great number of people, and following this, have been bitten by the "badge collecting bug". In 1955 the International Badgers Club was created by Ernest Hallett to assist Scouts and Guides in starting and increasing their collection of badges by correspondence and meetings. Members of the Club receive a catalogue of badges, a directory of members, a welcome booklet and their first magazine. The catalogues lists all known badges that are equivalent to, or greater than, a UK district and National event badges from all over the world. No rank, proficiency, campsite or badges of a similar nature are listed. If you are under 16 years old, you can join as a Junior member with a reduced fee. For this you receive the same information as a full member with the exception of auction lists. The Directory of Members lists all current members of the Club, in over twenty different countries with a membership of over three hundred. The Club magazine which all members receive is published six times a year. It includes articles and illustrations of general interest to members, together with members wants and swops adverts, details of meetings, amendments and additions to the catalogue and details of new members. All members are encouraged to write articles or "letters to the Editor" for inclusion in the magazine. Membership brings you many new friends both at home and overseas; it opens the door to International Scouting and Guiding; it helps to foster the spirit of friendships throughout the world and your hobby brings you many hours of personal satisfaction. Membership is open to all members of the Scout and Guide movements, also those who are associated with either movement e.g. Fellowship or Trefoil Guild members or lay members working with either movement. This page has been visited 45462 times since 1st September 2002.